The VHF-02 dual-channel wireless system offers clarity and quality with some of the best price to features comparisons on the market. 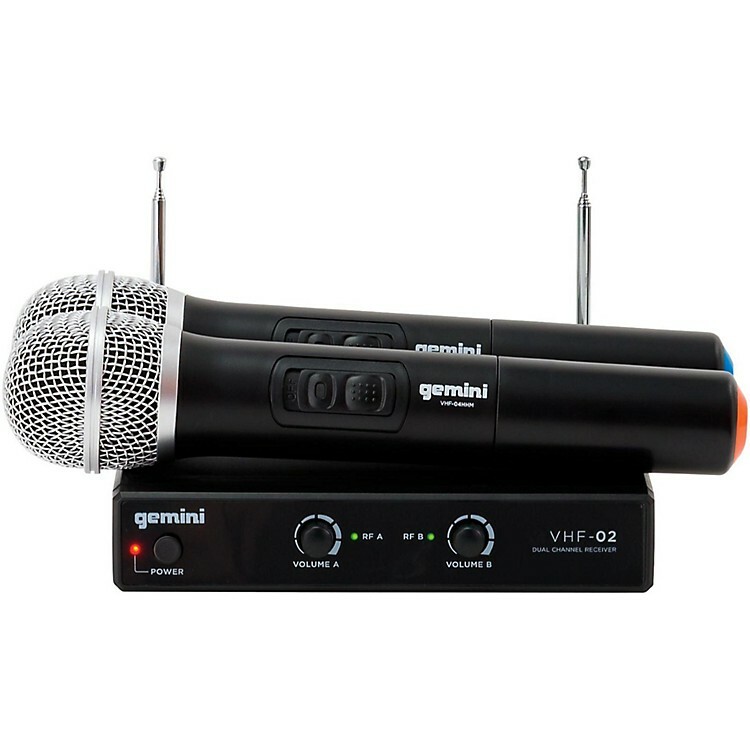 It has a unidirectional handheld microphone with a cardioid capsule that delivers a clear and reliable vocal signal to your amplification system. It is ideal for public speakers, audio service providers, DJs, presenters, lecturers and other presentation professionals. Make your next public appearance a better experience for yourself and your audience with the VHF-02 dual-channel wireless system. Professionally presentable wireless on a budget. Order today.